full of adventure, culture and nature. 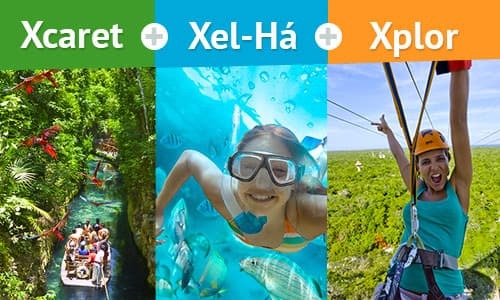 The natural Park Xcaret is the jewel of the Riviera Maya, here you can revive the traditions of the Mayan culture; from the voladores of papantla to the day of the dead festival, music and authentic Mexican food, and you will be part of some of the most important traditions of Mexico. 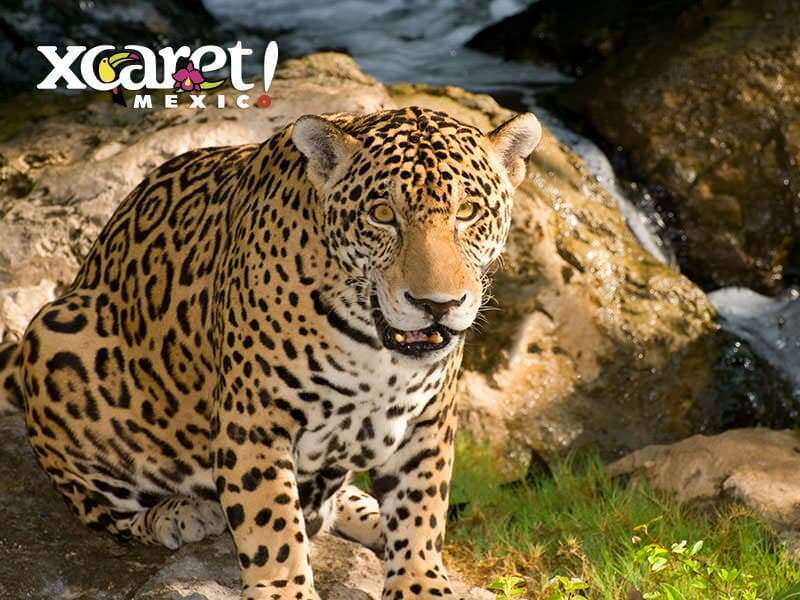 Visit every corner of this majestic Park; a cemetery, a coral reef Aquarium, a butterfly pavilion, underground rivers, beaches and natural swimming pools. 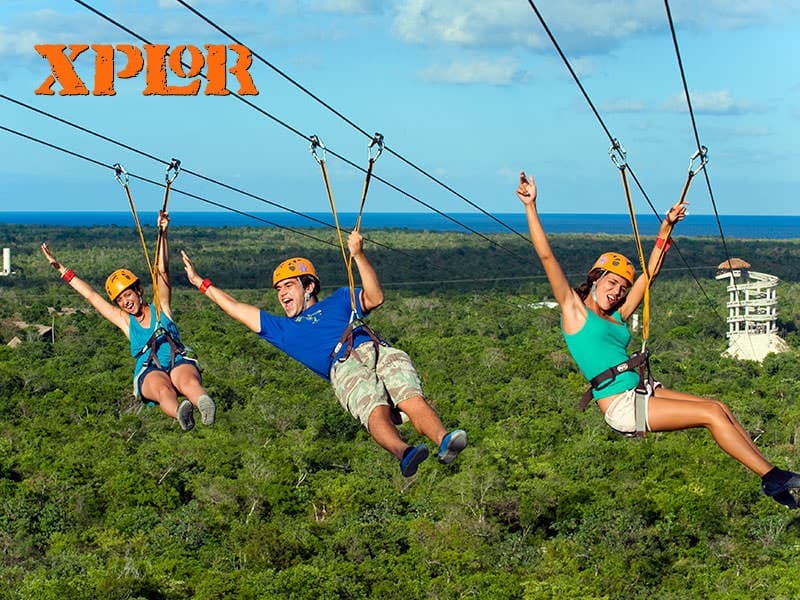 Xplor hides an amazing underground world and unforgettable adventures; this Park will challenge your senses with all its activities. 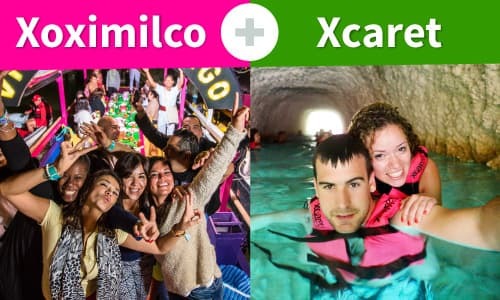 There are four different activities: zip lines, amphibious vehicles, rafts and swimming in underground rivers. 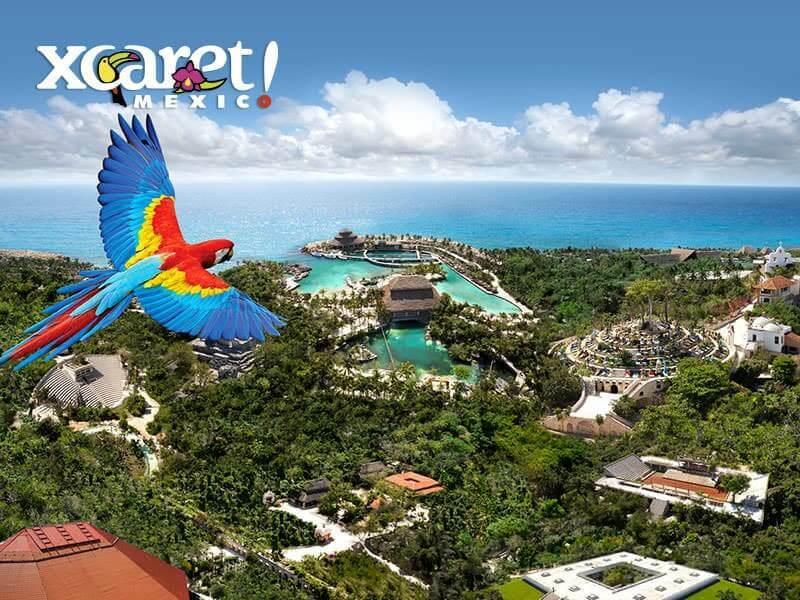 Each activity will make you enjoy this paradise to the fullest. Go through two circuits of 7 zip-lines each. 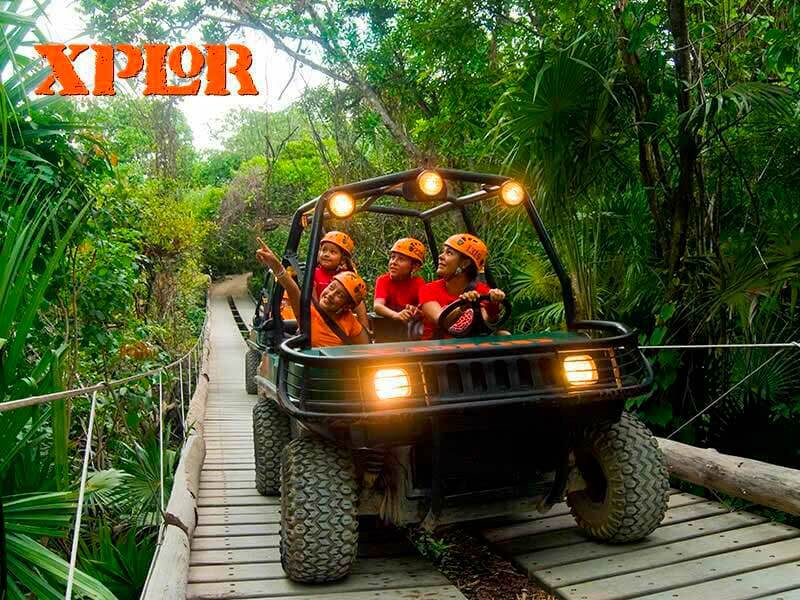 Drive along 6.2 mile through two circuits with Amphibious Vehicles. Explore caves with stalactites and stalagmites. Note: Activities included in your ticket. 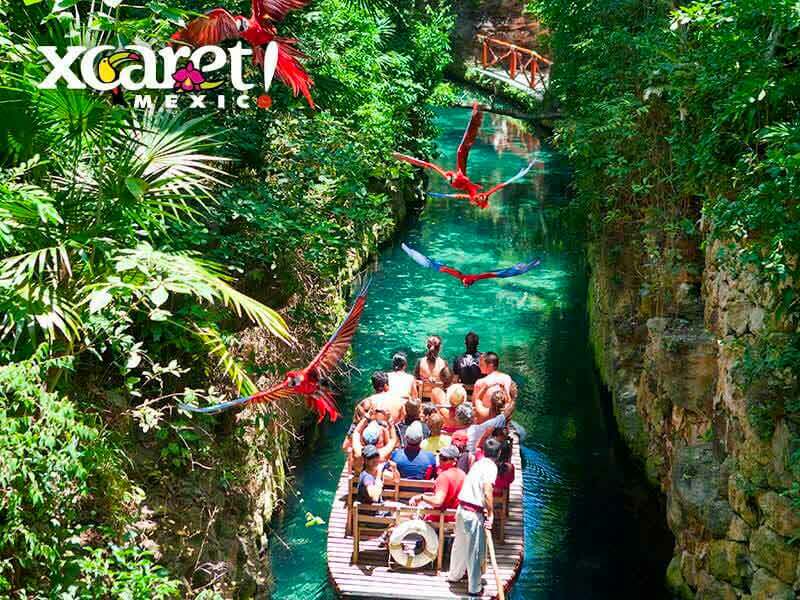 The new presentation of 'Xcaret Mexico Espectacular'. The snorkeling equipment is without extra charge. It is delivered at the lockers of Cove and Beach (requires a refundable deposit of $10 USD). One Buffet lunch including 1 beer and unlimited beverages (soft drinks, flavored waters and coffee) while consuming food. Unlimited buffet and beverages (coffee, hot chocolate, natural smoothies and fresh-flavored water. Alcoholic beverages are not offered). Two circuits of 7-zip-lines each (minimum height required for this activity: 4.59 ft or 88 lb. The maximum permissible weight is 299 lb). Two swimming circuits down the river of stalactites. Two river circuits to paddle on Rafts. 6.2 mile through two circuits with Amphibious Vehicles for two people or two adults and two children (only over 18 years of age may drive). Locker, rest areas, dressing rooms and bathrooms. 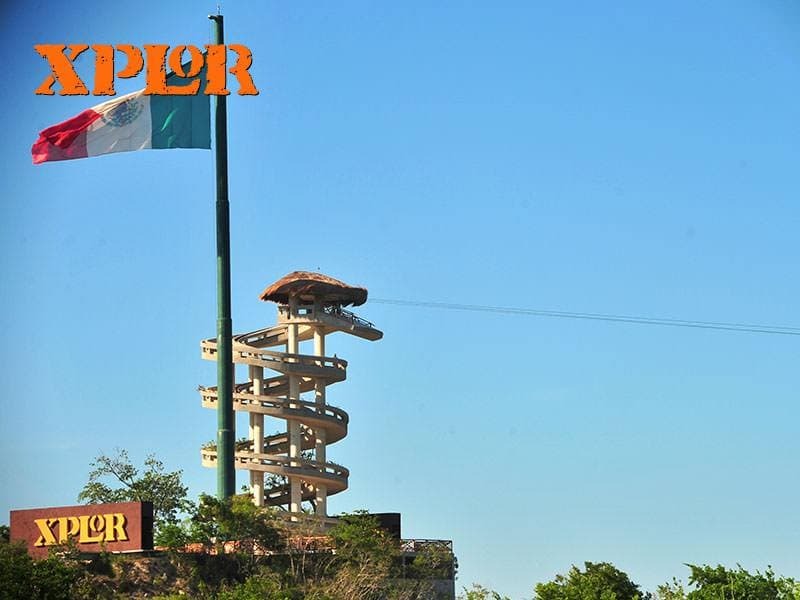 Xplor Park opens from Monday to Saturday from 9:00 a.m. to 5:00 p.m.